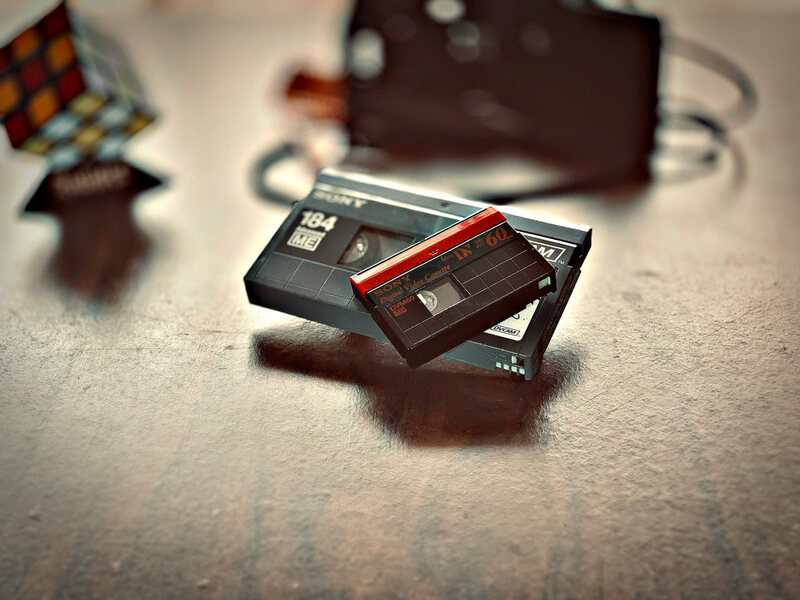 Betacam is a family of half-inch professional video cassette products developed by Sony in 1982. 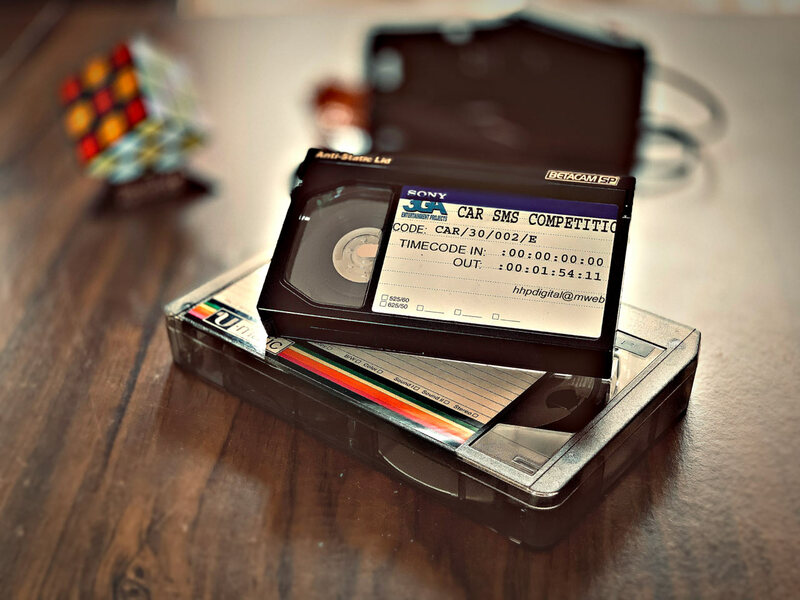 In colloquial use, "Betacam" singly is often used to refer to a Betacam camcorder, a Betacam tape, a Betacam video recorder or the format itself. We are certainly able to convert from these types of tapes as well as Betacam Max. We can convert these for you no problem. A slide is a specially mounted individual transparency intended for projection onto a screen using a slide projector. This allows the photograph to be viewed by a large audience at once. 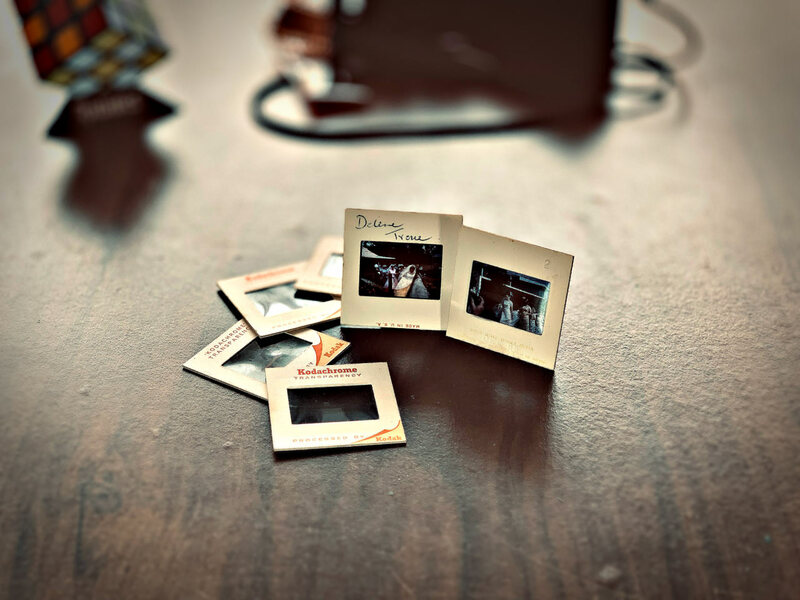 The most common form is the 35 mm slide, with the image framed in a 2×2 inch cardboard or plastic mount. If only you could walk into a store and pick up a brand new projector for these slides, thankfully we have some tech that can get your slides ready for a Power Point presentation or your mobile phone. 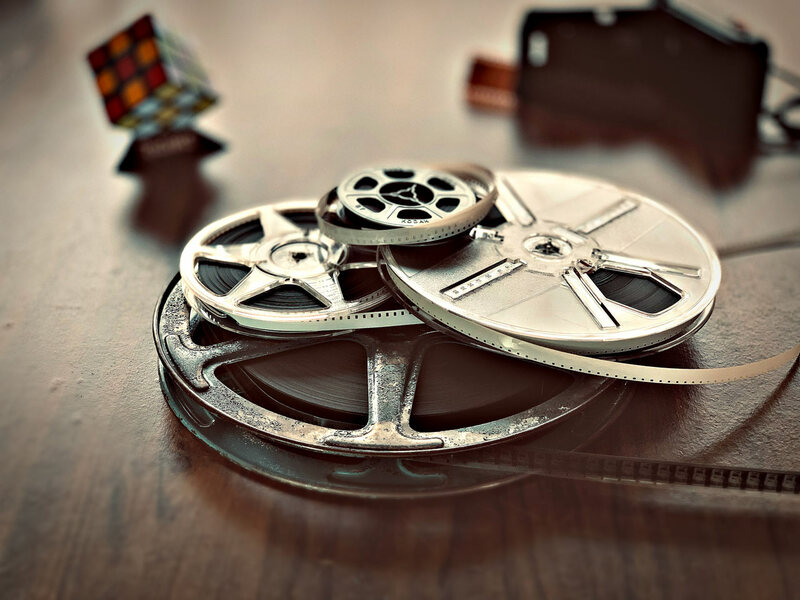 bring your old stuff into the future (convert your tape to mp4). Launched in 1995 with joint efforts of leading producers of video camera recorders. The original DV specification, known as Blue Book, was standardized within the IEC 61834 family of standards. These standards define common features such as physical video cassettes, recording modulation method, magnetization, and basic system data. In 2003, DV was joined by a successor format HDV, which used the same tape format with a different video codec. Some cameras at the time had the ability to switch between DV and HDV recording modes. 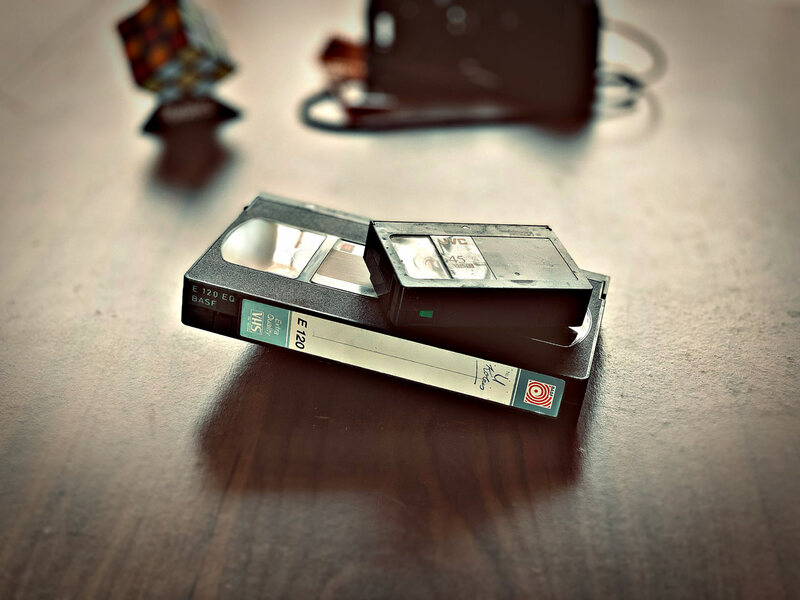 All tape-based video formats are becoming increasingly obsolete as tapeless HD cameras recording on memory cards, hard disk drives, solid-state drives, and optical discs have become the norm, although the DV encoding standard is sometimes still used in tapeless cameras. These are still pretty common but we have you covered in converting DV for you. The Video Home System (VHS) is a standard for consumer-level analog video recording on tape cassettes. Developed by Victor Company of Japan (JVC) in the early 1970s, it was released in Japan in late 1976 and in the United States in early 1977. From the 1950s, magnetic tape video recording became a major contributor to the television industry, via the first commercialized video tape recorders (VTRs). At that time, the devices were used only in expensive professional environments such as television studios and medical imaging. there are still many VHS's in circualtion and we convert them to DVD all the time. 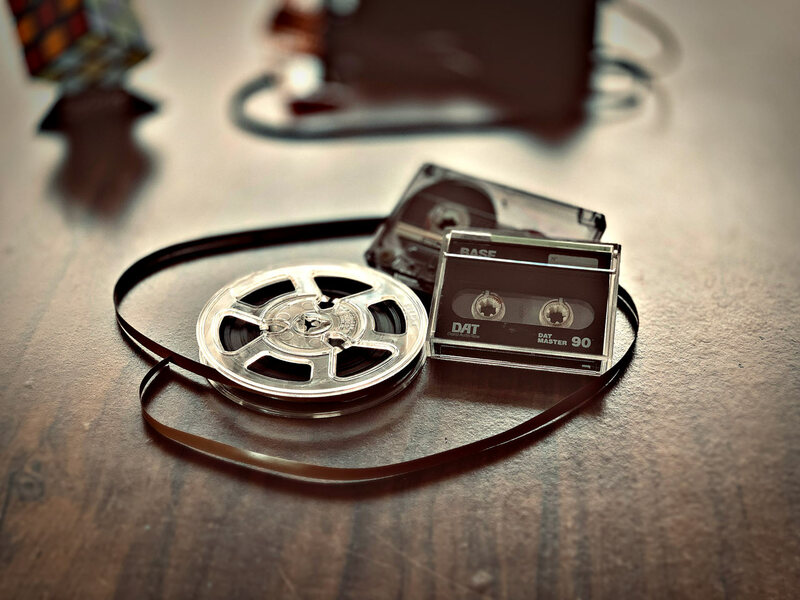 Open-reel audio tape recording is a form of magnetic tape audio recording in which the recording medium is held on a reel, rather than being securely contained within a cassette. 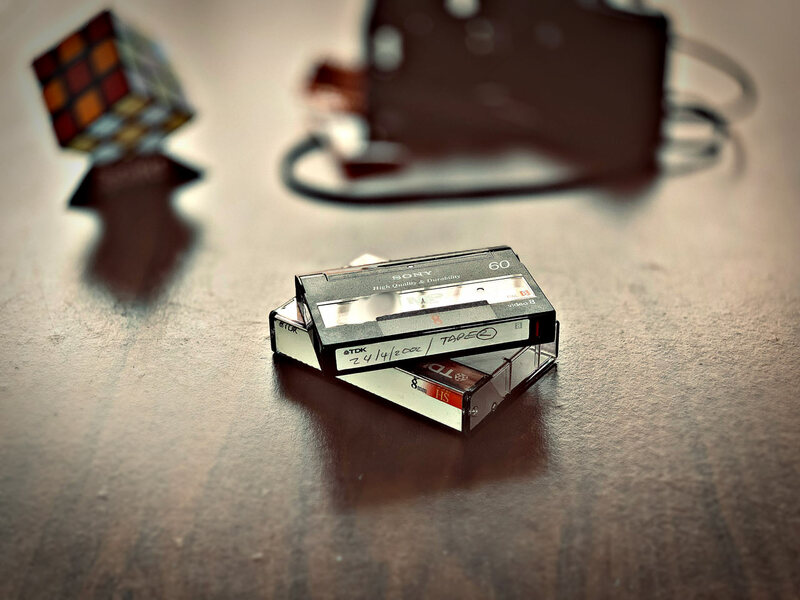 The cassette, commonly known as the Audio Cassette, Compact Cassette or 4-track cartridge, is also a magnetic tape sound recording cartridge technology. These tapes were playable in car audio systems, home systems and eventually portable players. Digital Audio Tape (DAT or R-DAT) is a signal recording and playback medium developed by Sony and introduced in 1987. In appearance it is similar to a Compact Cassette. 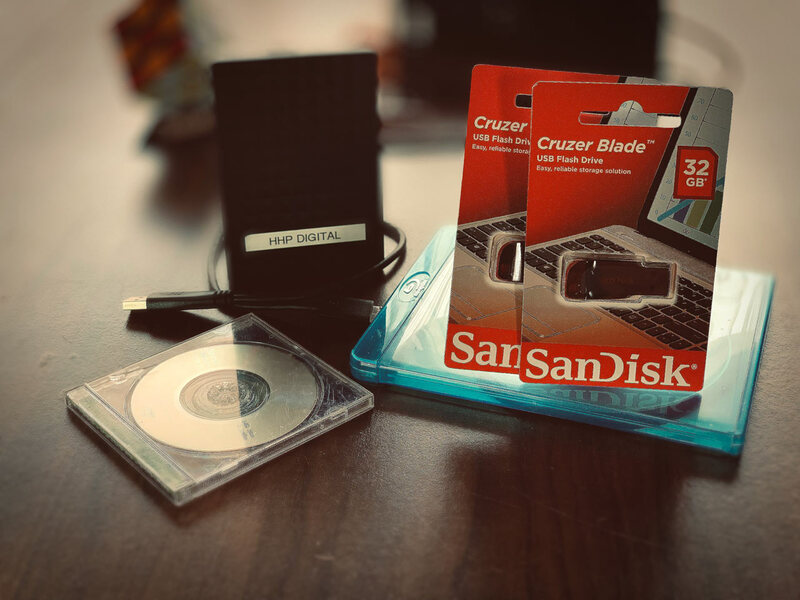 The format saw moderate success in professional markets and as a computer storage medium, which was developed into the Digital Data Storage format. As Sony has ceased production of new recorders, it will become more difficult to play archived recordings in this format unless they are copied to other formats or hard drives. All are welcome at DVD Conversions. A phonograph record is an analog sound storage medium in the form of a flat disc with an inscribed, modulated spiral groove. The groove usually starts near the periphery and ends near the center of the disc. At first, the discs were commonly made from shellac; starting in the 1950s polyvinyl chloride became common. 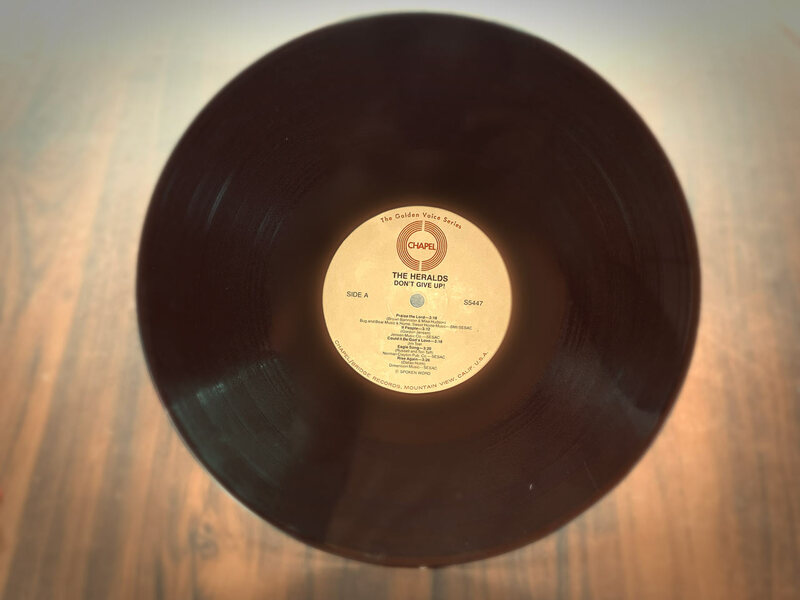 In recent decades, records have sometimes been called vinyl records, or simply vinyl. The phonograph disc record was the primary medium used for music reproduction throughout the 20th century. It had co-existed with the phonograph cylinder from the late 1880s and had effectively superseded it by around 1912. Stop by and trade in the old spiral groove disc for a new iridescent aluminium one, also known as a DVD or CD. I think we all know what's going on here, we basically put all that stuff that's mentioned above on these things, converting to new media. Fun Fact much like magnetised discs or optical discs which have physical binary signals so do SSD's or Solid State Discs, instead of magnetised platters or a reflective surface that require a mechanical actuator to read over and a motor to spin the disk, SSD's rely on semiconductor chips or transistors on an integrated circuit board and an electronic controller so there are no moving parts at all. In NAND Flash Storage (commonly used in SSD's, don't ask what NAND stands for because it has to with complex digital logic) there are transistors called floating gates and control gates, now when electrical current reaches the control gate, electrons flow onto the floating gate, creating a net positive charge that interrupts current flow. By applying precise voltages to the transistors, a unique pattern of 1's and 0's can be seen , and you all know what 1's and 0's mean.